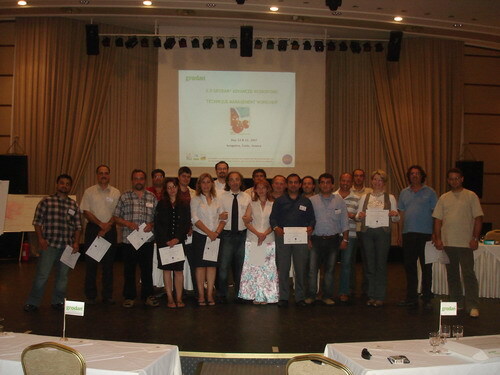 In Ierapetra, Crete, Greece, in 22 and 23 May, 26 individuals, 13 companies from Serbia, Bulgaria, Cyprus, Holland and Greece took part at the 2nd On going seminar provided by GRODAN, the global hydroponic solutions provider titled “Grodan Advanced Hydroponic Technique Management”. Up-to-date developments within the greenhouse hydroponic industry were presented during the seminar with focus on daily life problem solving methodology using case studies from the experiences of the Grodan applications in the Balkan and South-eastern Mediterranean countries. The two days seminar was organized and executed by The DKG International Training Centre (part of the DKG Group Ltd - Authorised Technical Body of Grodan) in collaboration with the regional executives of GRODAN.